Dynamic Shadow Projector provides some shaders which can work with Blob Shadow Projector. There are two versions of shaders, dynamic and non-dynamic. You can use non-dynamic version for normal blob shadows, and use dynamic version for dynamic shadow projector. There are no difference in the code, but some parameters which are fully controlled by dynamic shadow projector components are hidden in dynamic version. It might be helpful if you are using a version control system such as Git and Subversion, because dynamic shadow projector components will change the parameters at runtime and if those parameters are not hidden, it will make the version history dirty. Also, some shaders have two variations, with Linear Falloff and without Falloff. Unlike “Projector/Multiply” shader which is included in Standard Assets (Effects package), the shaders in dynamic shadow projector do not use a falloff texture. Linear falloff shaders have almost same falloff as the default falloff texture included in Standard Assets. Light shaders and Light x Shadow shaders can be used for spotlight. If you want to make a spotlight shadow, you will need two projectors. One is for shadow receivers, and the other is for shadow casters. Use Light x Shadow shader for shadow receivers, and use Light shader for shadow casters. See spotlight sample for more details. Mipmapped Shadow shader doesn’t have falloff options. Instead, each mip level can have falloff. 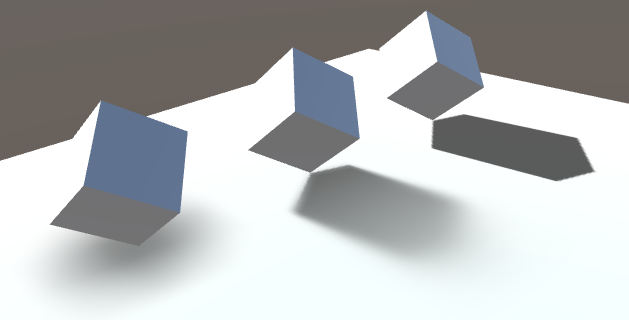 See Shadow Texture Renderer component for more details. Also, Mipmapped Shadow shader requires Shader Model 3.0 (DirectX), OpenGL ES 3.0, or OpenGL ES 2.0 + texture lod extension. It might not work on some old devices. 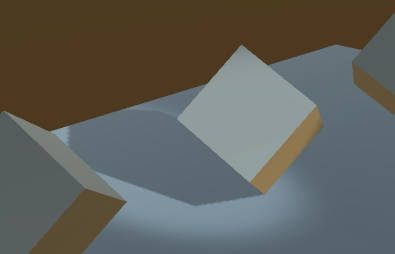 Use Mipmapped Shadow Fallback component to prepare a fallback for those devices.